Ann Tolan of Morse wins both freestyle sprints, setting a state record in the 50 freestyle. 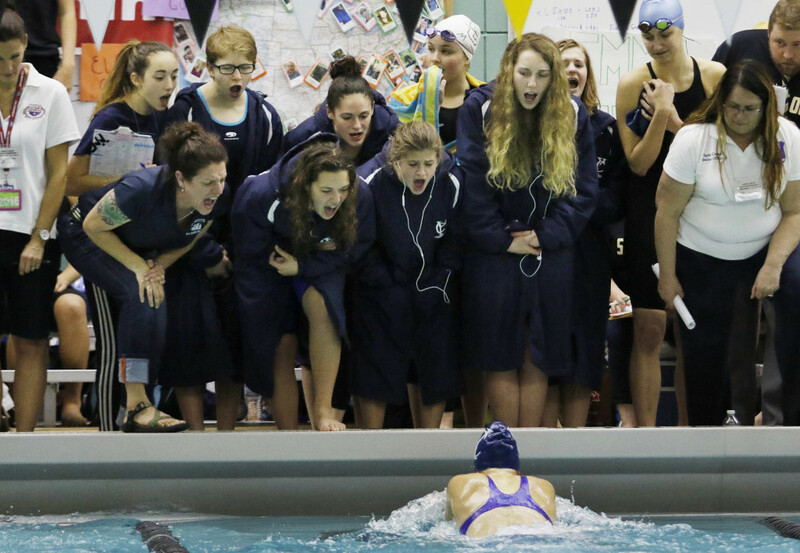 BRUNSWICK — Greely Coach Rob Hale approached freshman swimmer Courtney Rog after she finished a grueling 500-yard freestyle race in sixth place, letting her know she was also swimming the next event, the 200 freestyle relay. Rog responded with the fastest split as the Rangers won the relay. 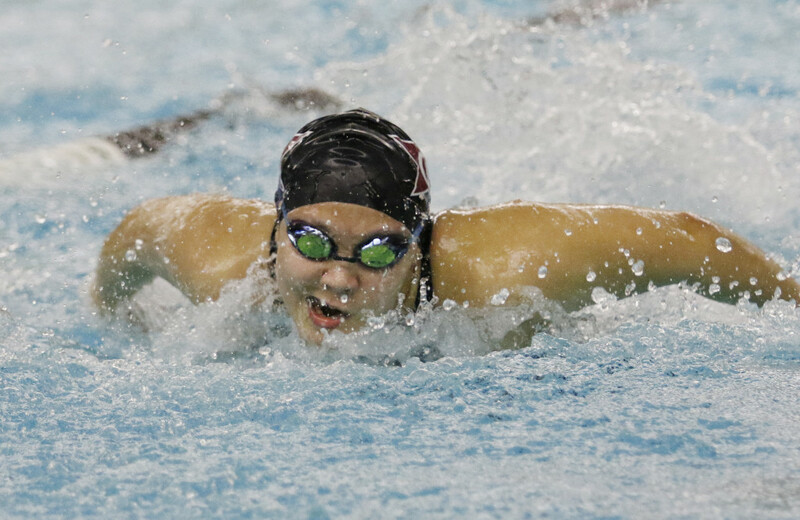 That win, plus Greely’s depth, propelled the Rangers to a second straight Class B girls’ swimming and diving state championship Monday at Greason Pool at Bowdoin College. The Rangers won with 321 points. Cape Elizabeth finished second (314) and Kennebunk was third (222). Ann Tolan of Morse was named Performer of the Meet after winning both freestyle sprints. 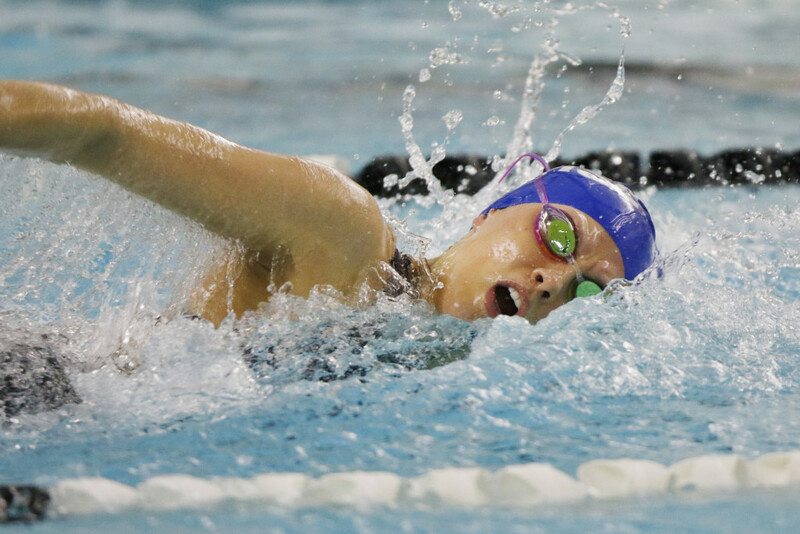 She defended her 50 freestyle title with a sizzling state-record time of 23.39, which also was a pool record. Tolan, a junior, then won the 100 free in 51.49. Kennebunk senior Marshall Lowery, a two-time state champion last year when the Rams were in Class A, proved a success in Class B, too, winning the same two events, the 200 individual medley (2:09.42) and 100 backstroke (56.91). Mt. Desert Island junior Lydia DaCorte successfully defended her two titles, winning the 100 butterfly (57.55) and breaking her own meet record in the 500 freestyle (5:05.68). 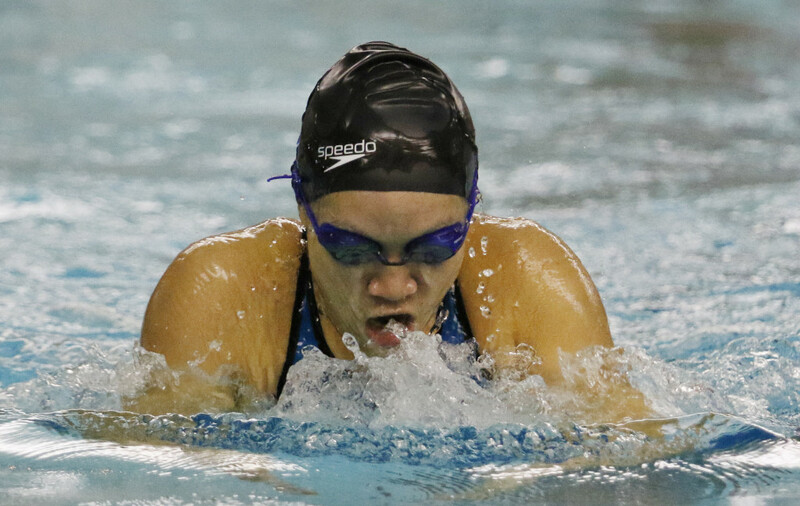 Other individual winners included Kennebunk diver Emma Patterson (343.20 points) and North Yarmouth Academy’s Sonia Lin in the 100 breaststroke (1:06.15, breaking her own meet record). This was the Rangers’ 11th state title and fourth in the last seven years. Like last year, when Greely won without a victory in any race, depth was key. The 200 freestyle relay was Greely’s only event victory. 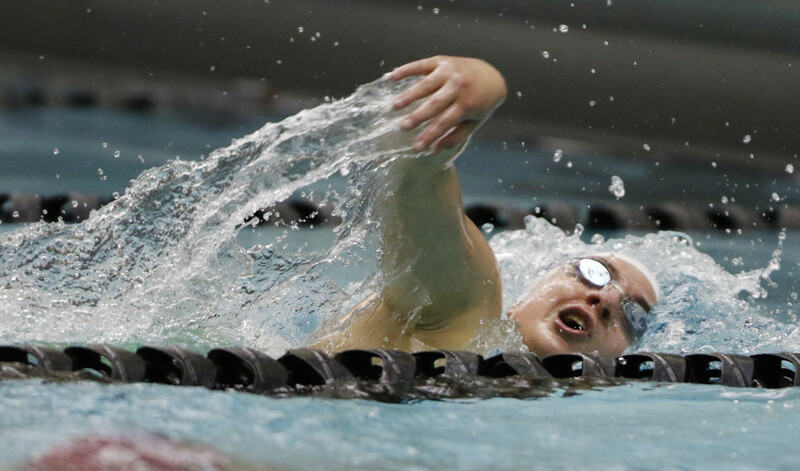 But the other two relays placed second, and senior Hwanhee Park finished second in the 100 butterfly and third in the 100 breaststroke. 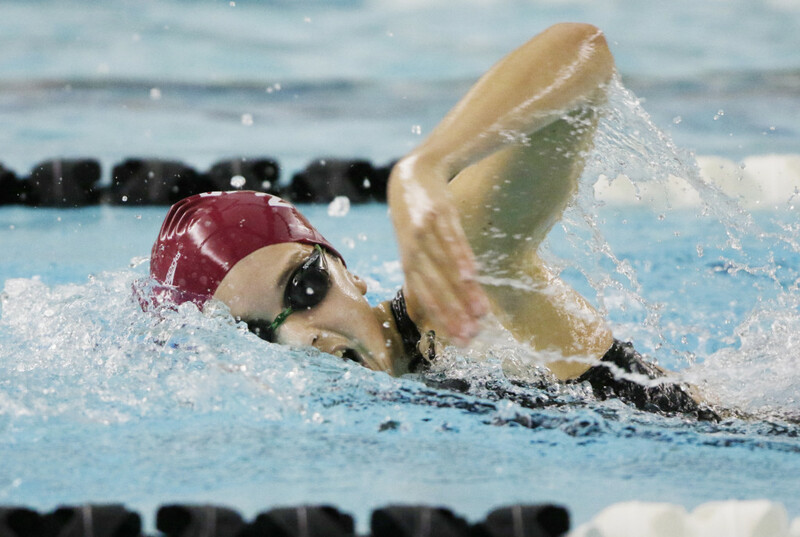 Cat Maker finished fourth in the 50 freestyle and tied for sixth in the 100 freestyle with teammate Camilla Civiello, who also was seventh in the 200 freestyle. “It’s insane that no one won an individual event,” Park said. 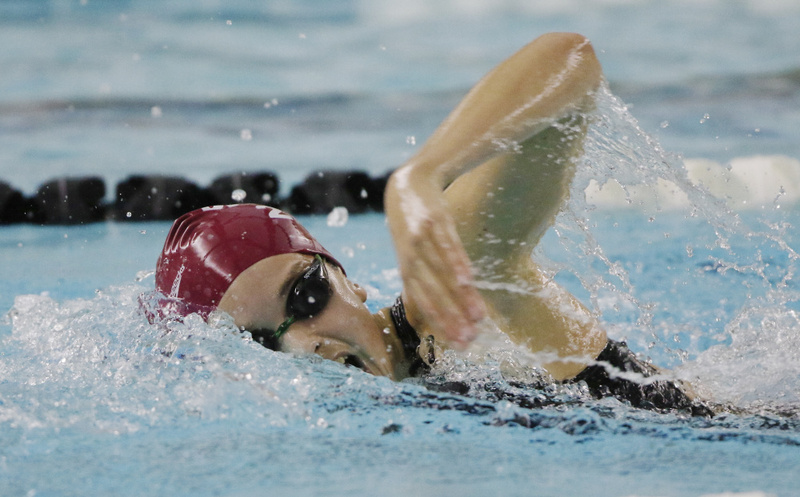 Cape Elizabeth was led by nine freshman among its 12 scorers, including Olivia Tighe, who won the 200 free (1:55.48), was second in the 500, and was part of two winning relays. A disqualification for a false start may have cost the Capers as many as nine points. The Capers’ all-freshman 200 medley relay team – Hope Campbell, Maddie Culkin, Tighe and Alicia Lawrence – began the meet with a victory in 1:52.93. Greely finished second (1:53.80). Tighe cruised in the 200 freestyle, but Greely got more points with a 7-8-9 finish (Civiello, Katie Bacall and Lily Black) and the Rangers moved into first place, 66-65. That was the first of five lead changes – and one tie – in the team standings. 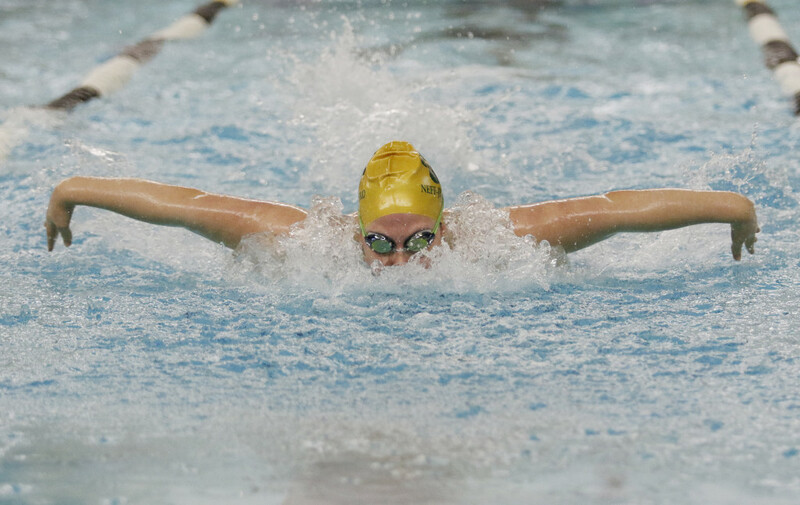 In the marque individual race, pitting last year’s 200 individual medley champions, Lowery edged McAuley’s Ana Neff-Jendrasko by four-hundreds of a second. Meanwhile, in the team standings, Cape retook the lead. But Cog ended up saving the 200 relay, swimming Greely to the lead on the third leg with the fastest split (25.71) on the team. Black anchored the relay victory (1:45.29), 1.14 ahead of the Capers. 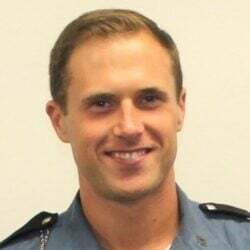 With two events to go, Cape Elizabeth still led. But in the 100 breaststroke, Park, seeded fourth, finished third; and Rog, seeded ninth, placed fifth, giving Greely a 287-274 lead. “I knew if I got a good place, we didn’t need to win the last relay,” Park said. Cape Elizabeth won the 400 relay in 3:41.32, but the Rangers were soon celebrating.